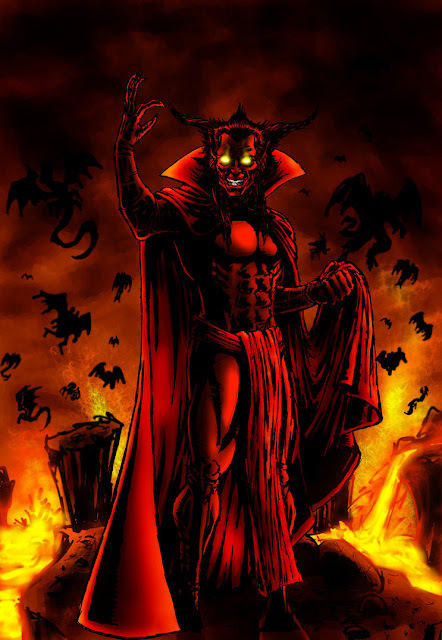 Mephisto is a fictional Character that appears in comic books published by Marvel Comics. The character first appears in Silver Surfer (Dec. 1968) and was created by Stan Lee and John Buscema, loosely modeled on Mephistopheles – a character from the Faust legend - More about Mephisto (Marvel Comics) Character Review...keep reading !! Debuting in the Silver Age of comic books, the character has appeared in over four decades of Marvel continuity. The character has also appeared in associated Marvel merchandise including animated television series, feature film, toys, trading cards and video games. Mephisto is an extremely powerful immortal demonic entity possessing magical powers and abilities gained by manipulation of the forces of magic. 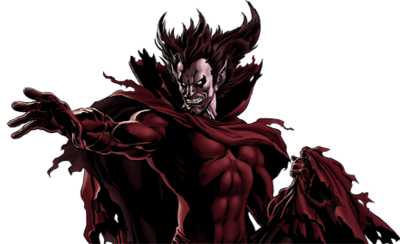 Mephisto is capable of using his power for a variety of uses, including superhuman strength, shape and size shifting, projecting illusions, manipulating memories, altering time, and is highly resistant to injury. The character has been shown to be energized by sources of evil in the human realm, such as the alien Dire Wraiths. Like other demons, Mephisto is symbiotically linked to, and considerably more powerful within, his own realm, and the character is able to transform the structure at will. Within it he has casually threatened a galaxy, and stalemated a nourished Galactus until the latter threatened to consume his realm. If Mephisto's physical form is destroyed, the character will regenerate and reform in his domain. Mephisto is known for acquiring souls, but cannot subjugate the will of another being without the victim's permission. This is usually some form of pact. Actor Peter Fonda plays Mephisto (as Mephistopheles) as one of the two main villains alongside his son Blackheart in the 2007 film Ghost Rider. Mephisto appears, as with Blackheart, in his human form throughout most of the film, only showing glimpses of a horned, goat-like demon. Peter Fonda had expressed interest in returning to portray the character again for Ghost Rider: Spirit of Vengeance,however Ciarán Hinds was revealed to be playing the character instead. 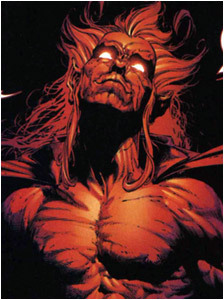 Mephisto appears in "Ghost Rider: Spirit of Vengeance", but is referred to as the Devil. Mephisto appears in the form of a man named Roarke (Ciarán Hinds) and has fathered a child with a woman named Nadya (Violante Placido) after saving her life. Roarke has plans for the boy named Danny (Fergus Riorden). In the end, he is sent back to Hell by Ghost Rider.